An online research guide to support students in Bruce Williamson's MHI2114.01 class. Use this guide to get started locating relevant books, videos, journal articles, etc. Billie Holiday's signature tune, 'Strange Fruit', with its graphic and heart-wrenching portrayal of a lynching in the South, brought home the evils of racism as well as being an inspiring mark of resistance. The song's powerful, evocative lyrics - written by a Jewish communist schoolteacher - portray the lynching of a black man in the South. In 1939, its performance sparked controversy (and sometimes violence) wherever Billie Holiday went. Author David Margolick chronicles its effect on those who experienced it first-hand: musicians, artists, journalists, intellectuals, students, budding activists, even the waitresses and bartenders who worked the clubs. Rock and Popular Music examines the relations between the policies and institutions which regulate contemporary popular music and the political debates, contradictions and struggles in which those musics are involved. International in its scope and conception, this innovative collection explores the reasons for and ways in which governments have sought either to support or prohibit popular music in Canada, Australia and Europe as well as the impact of broadcasting policies in forming and shaping different musical communities. 'Proud to be an Okie' brings to life the influential country music scene that flourished in and around Los Angeles from the Dust Bowl migration of the 1930s to the early 1970s. A comprehensive guide to the relationship between American music and politics from music expert Weissman. Unprecedented in its approach, the book offers a multidisciplinary discussion that illuminates how social events impact music as well as how music impacts social events. This is the most comprehensive study to date of the rich popular music scene in contemporary China. Focusing on the city of Beijing and drawing upon extensive fieldwork, China's New Voices shows that during the 1980s and 1990s, rock and pop music, combined with new technologies and the new market economy, have enabled marginalized groups to achieve a new public voice that is often independent of the state. Nimrod Baranovitch analyzes this phenomenon by focusing on three important contexts: ethnicity, gender, and state politics. 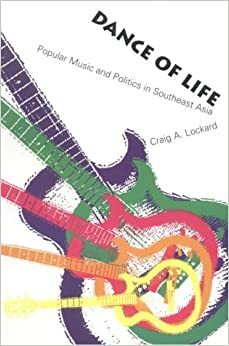 This book explores the connections between popular music genres and politics in Southeast Asia, with particular emphasis on Indonesia, the Philippines, Thailand, Malaysia, and Singapore. Over the past several decades the countries of Southeast Asia have reverberated to the music of superstars like Indonesia's Rhoma Irama and Iwan Fals, the Filipino singer-songwriters Freddie Aguilar and Joey Ayala, among other prominent musicians. Along with many lesser known artists, they articulated the views of powerless citizens and provided a critical discourse on national and international affairs. Some were even identified with mass based sociopolitical movements seeking change. In Africa, tension between freedom of expression and censorship in many contexts remains as contentious, if not more so, than during the period of colonial rule which permeated the twentieth century. Over the last one hundred years, popular musicians have not been free to sing about whatever they wish to, and in many countries they are still not free to do so. This volume brings together the latest research on censorship in colonial and post-colonial Africa, focusing on the attempts to censor musicians and the strategies of resistance devised by musicians in their struggles to be heard. Provides an introduction to the most prominent artists and musical styles that have emerged in Cuba since 1959, and to the policies that have shaped artistic life. 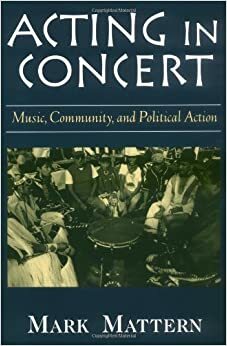 Tracing the development of dance styles, nueva trova, folkloric drumming, and other forms, this book describes how the arts have become a point of negotiation between individuals. "An eighteen-year-old Moroccan who loves Black Sabbath. A twenty-two-year-old rapper from the Gaza Strip. A young Lebanese singer who quotes Bob Marley's 'Redemption Song'. They are as representative of the world of Islam today as the conservatives and extremists we see every night on the news. Heavy metal, punk, hip-hop, and reggae are each the music of protest, and in many cases considered immoral in the Muslim world. This music may also turn out to be the soundtrack of a revolution unfolding across that world. Why, despite governmental attempts to control and censor them, do these musicians and fans keep playing and listening? Partly, of course, for the joy of self-expression, but also because, in this region, everything is political." Seeking to extend discussions of 9/11 music beyond the acts typically associated with the September 11th attacks - U2, Toby Keith, The Dixie Chicks, Bruce Springsteen - this collection interrogates the politics of a variety of post-9/11 music scenes. Contributors articulate the role that lesser-known contemporary musicians have played - or have refused to play - in constructing a politics of protest in direct response to the trauma inflicted that day. The Politics of Post- 9/11 Music encourages new conceptualizations of what constitutes "political music." Young blacks disillusioned with politics and feeling society no longer cared or looked out for their concerns started rapping with each other about their plight, becoming their own leaders on the battlefield of culture and birthing Hip-Hop in the process. In Somebody Scream, Marcus Reeves explores hip-hop music and its politics. Looking at ten artists that have impacted rap-from Run-DMC (Black Pop in a B-Boy Stance) to Eminem (Vanilla Nice)-and puts their music and celebrity in a larger socio-political context. In doing so, he tells the story of hip hop's rise from New York-based musical form to commercial music revolution to unifying expression for a post-black power generation. Depending on your need, you can access our catalog in one of two different ways. If you are looking for physical items (books, DVDs, CDs, scores, etc.) accessible in either Crossett Library or Jennings Music Library, you can use the following search box. Alternatively, you can leave the box blank and click search for more search options, such as limiting your search by material type (for example, books or DVDs), by location (Crossett only, nothing from Jennings Music Library) or by language. You can search more broadly, using the following search box below. This search uses Ebsco Discovery Services, and contains all the physical items in our library, as well as all journals and articles that we receive through our various databases. This is a much more broad and extensive search, and can be modified to search only full-text items, specific date ranges, languages, peer-reviewed, etc. To find materials in other libraries, try using Worldcat. If you find a title in Worldcat that is not held by Bennington College, you can request it through Interlibrary Loan by clicking on the "Request Item" button. Your book will be shipped from the lending library to Crossett Library, and you will receive an e-mail when it is ready for pickup. If you have never used Interlibrary Loan before, you need to set up an account here.